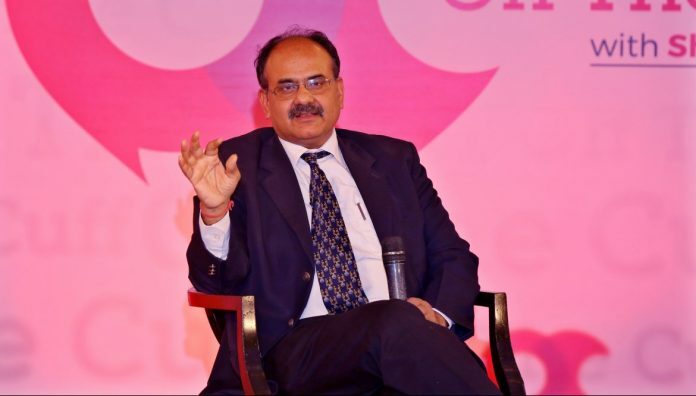 In an exclusive interview to ThePrint, Ajay Bhushan Pandey says Modi govt tried to present a balanced budget keeping in mind the financial implications. New Delhi: Revenue Secretary Ajay Bhushan Pandey Monday denied allegations that the Modi government did not stick to the spirit of an interim budget in the run-up to the Lok Sabha elections, while defending the tax sops in the budget. Pandey said the tax rebate was included to provide “relief” to those sections of the middle class that earn less, allowing them to have “certainty about their tax burden for the coming year on 1 April”, adding that “there is no bar constitutionally” in doing so. “We have seen the convention over the last few decades. Certain urgent things that needed to be done used to be done in the interim budget,” Pandey told ThePrint in an exclusive interview. The Modi government has provided full tax rebate to those with an annual income of less than Rs 5 lakh. It has also announced an annual cash transfer of Rs 6,000 to small farmers and promised a monthly pension of Rs 3,000 to workers in the unorganised sector. The Prime Minister Narendra Modi-led government, which presented the interim budget last Friday, has been criticised by some sections for tinkering with the tax structure and announcing various sops, despite this not being a full budget. Claiming that the government had “tried to present a balanced budget”, Pandey said the financing of these announcements and impact on the fiscal deficit was also kept in mind. “We tried to give a balanced budget. We have also tried to give a realistic figure wherever possible,” he said. “On the revenue side, we have given a realistic figure even if we had to revise our revenue collection figures. On the expenditure side, an attempt has been made to ensure all important programmes get the appropriate level of funding,” he added. “Even after giving a realistic revenue collection figure and financing all the programmes we announced in the budget, the fiscal deficit is well in the range we had wanted,” he said. The revenue secretary claimed that sops to farmers would “lead to higher income level in rural areas, driving consumption and growth”. “Under direct taxes, we have estimated growth of 15 per cent. In the case of GST, we are targeting a growth of 14 per cent,” he said. Pandey, who also heads the Unique Identification Authority of India (UIDAI), said Aadhaar would ensure farmers got the income support announced in the budget. “It is a good thing we have Aadhaar now. There are many government schemes where money is seamlessly being transferred into beneficiary accounts,” he said. The BJP government has allotted a massive Rs 60,000 crore to the rural job guarantee scheme — the highest ever to it at the beginning of the fiscal — despite PM Modi himself having once criticised it as a “living monument of the UPA government’s failures”, early on in his tenure. While the government is boasting of making a huge allocation to the scheme, civil society groups and activists have said nothing less than Rs 88,000 crore a year will suffice to meet the scheme’s requirements. A leaked NSSO report that shows unemployment rate to be at a 45-year high in 2017-18 — first reported by the Business Standard — has led to much controversy, with the Modi government being accused of hiding data.